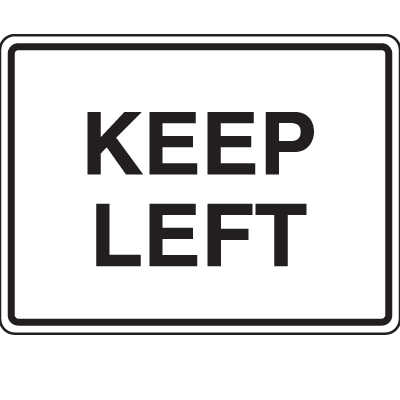 Keep Left Signs from Seton are your perfect choice for creating a safe traffic flow both on the road and within your parking facility. You can easily instruct motorists towards safe and right traffic routes leading them away from road obstructions and possible dangerous situations. 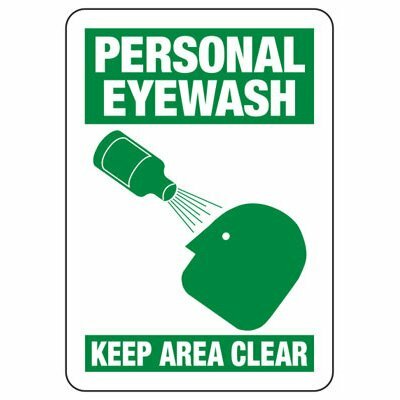 Part of our large selection of traffic signs, these products are available in large size formats with bold pre-printed wordings and graphics that can be easily seen from a distance. Made from a variety of durable materials, our directional signs are guaranteed suitable for long-term outdoor use and can withstand even the harshest conditions. 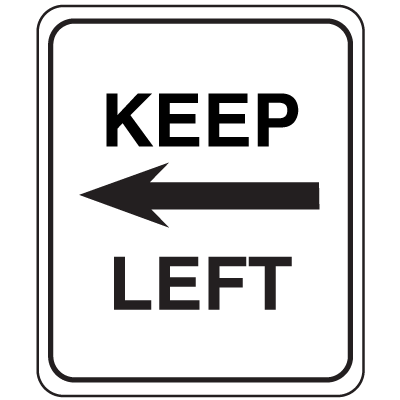 Keep Left Signs from Seton. 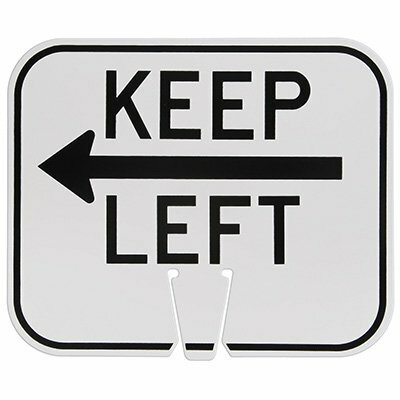 These directional signs are useful in providing instructions for motorists ensuring they stay clear from dangerous road situations. We carry standard signs made from plastic, steel, or aluminum. Our selection also includes engineer grade-reflective and high-intensity aluminum reflective signs, both of which are MUTCD compliant. Maximize the use of your traffic cones by turning them into instant sign posts. We carry a variety of snap-on and traffic cone signs that you can easily mount onto your traffic cones to save space while guaranteeing that your signs are instantly visible for motorists. These temporary signs come with specially cut grooves and are specifically designed to fit any kind of traffic cones. And more importantly, these traffic cone signs meet the NCHRP-350 crashworthy requirements and are guaranteed to resist damage and bending even when accidentally hit by a car.